Cook pasta as package directs, rinse quickly and drain. In a food processor, blend the vinegar, water, oil, salt, pepper, mustard, basil and oregano. 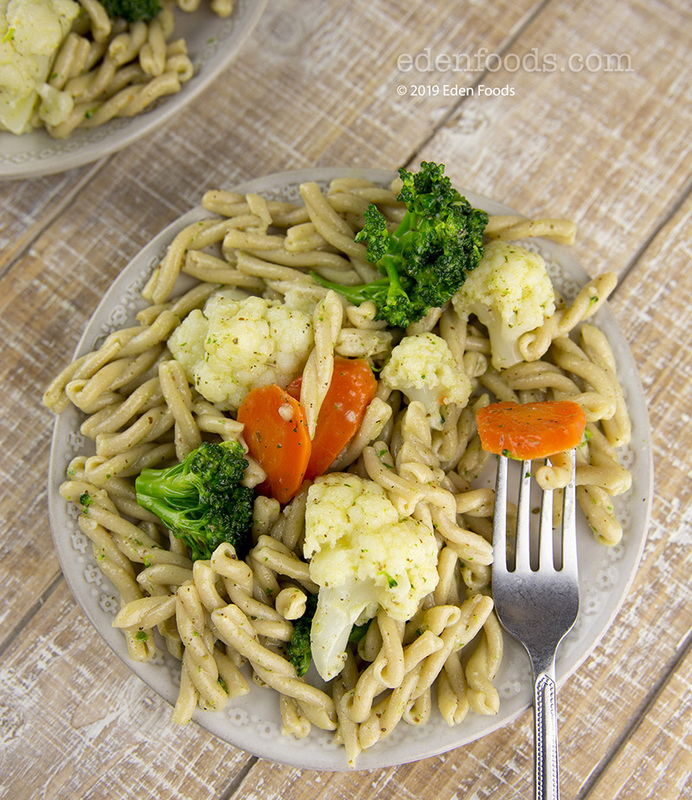 Place pasta, broccoli, cauliflower and carrots in a bowl. Toss with the dressing and serve room temperature or chilled.